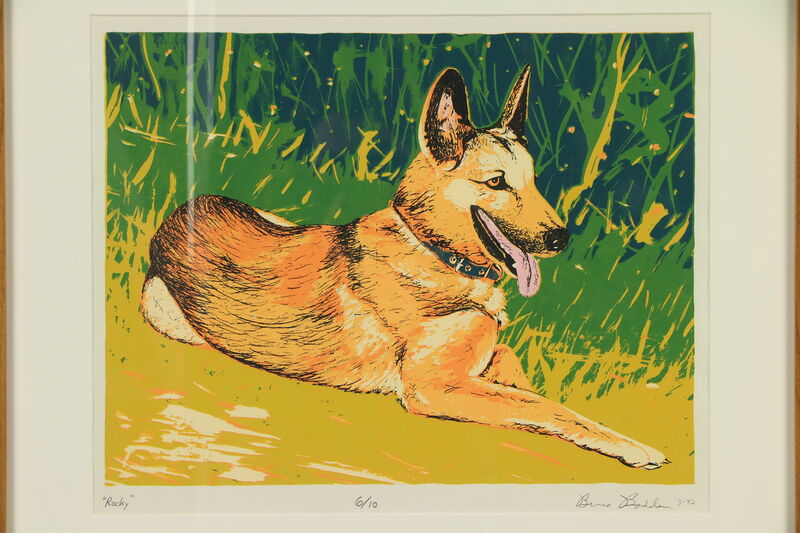 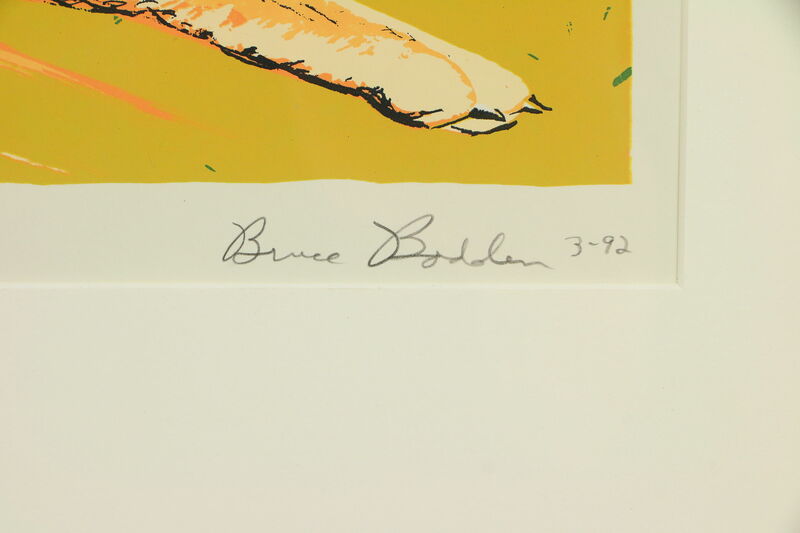 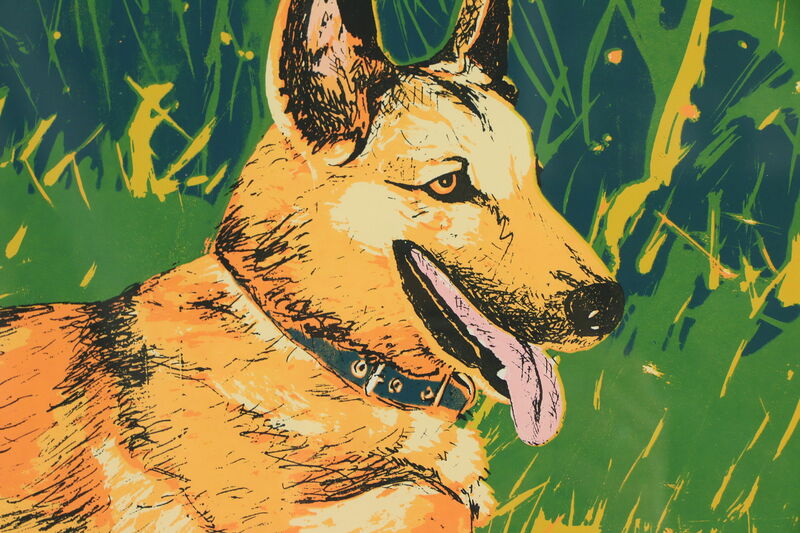 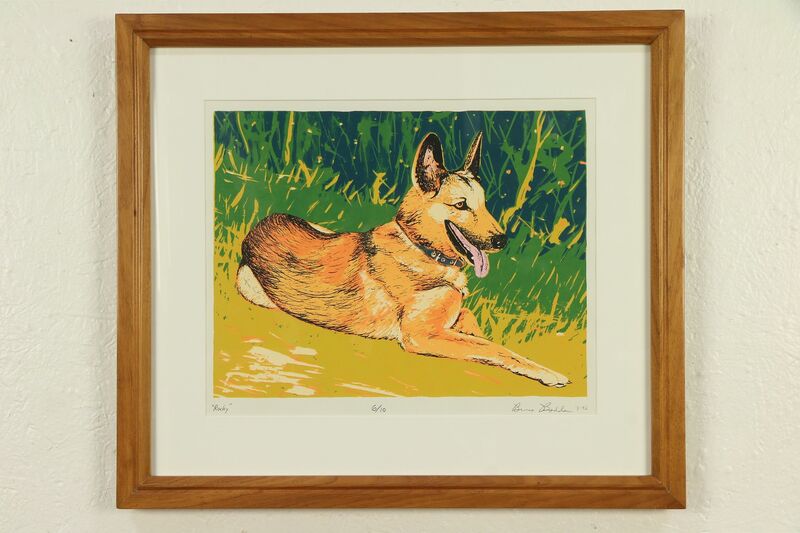 A silk screen print or serigraph entitled "Rocky" is signed by Wisconsin artist, "Bruce Bodden, March 1992." 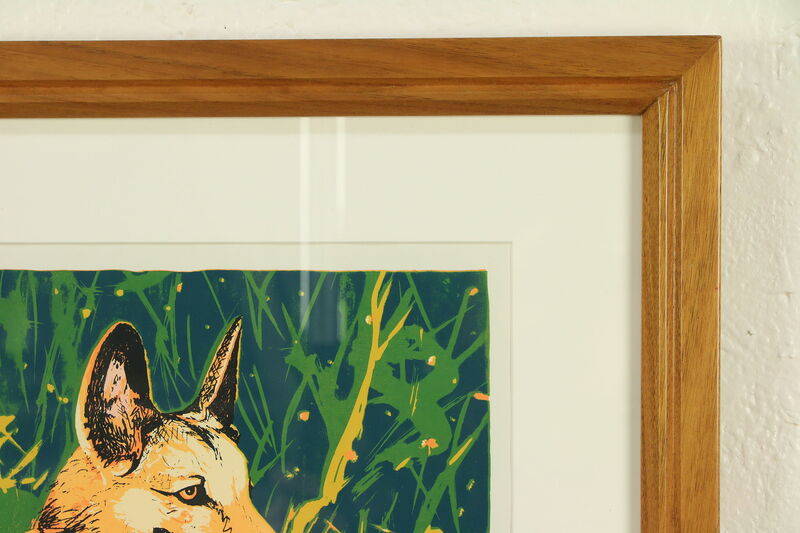 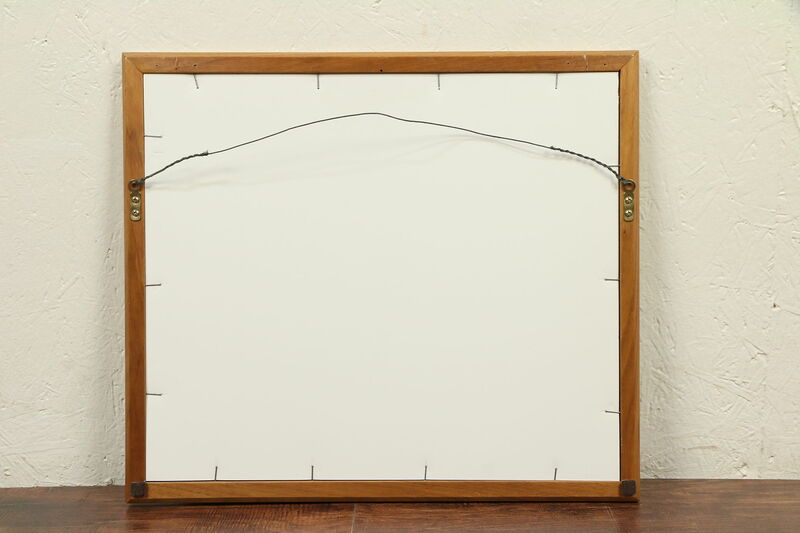 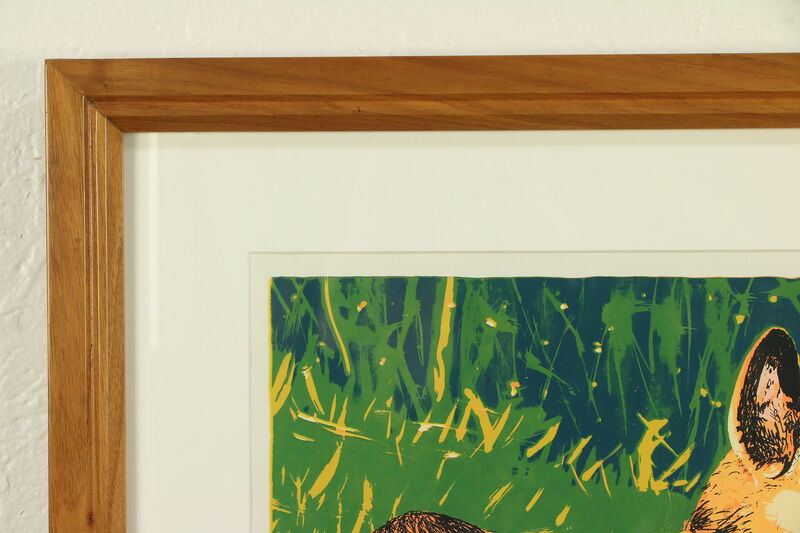 Number 6 of 10, the custom frame is golden mahogany. 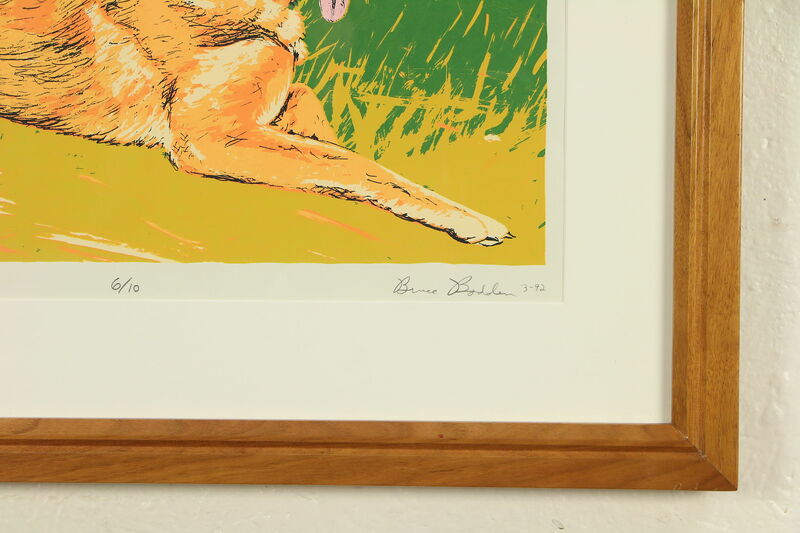 There is a mat on this work of art depicting a seated dog. 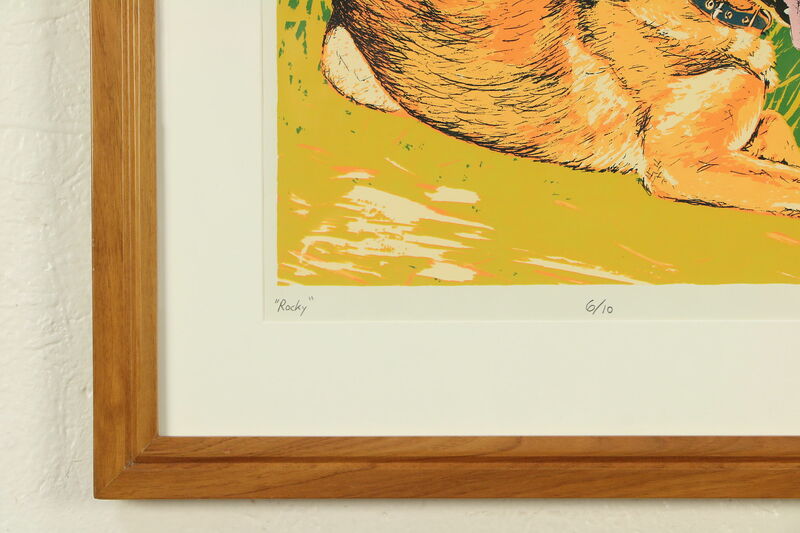 Size is 20 1/2" x 18" and 1" deep.